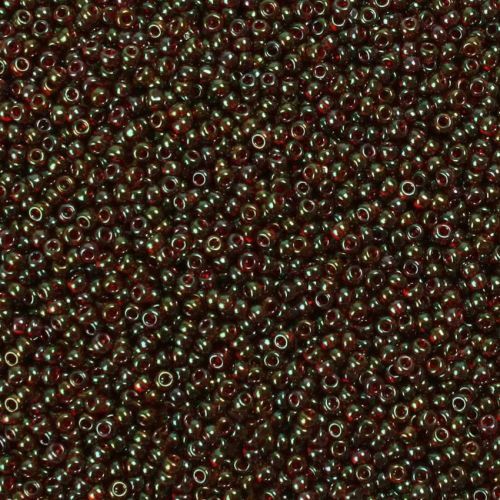 Gold-Lustered Rust Round Size 11 Seed Bead.. These beads are in a deep red colour, finished with a gold-luster, giving them a fabulous shine. They are Japanese made Toho beads, recognised for their consistency in colour and size.